Art students competed at the regional Visual Art Scholastic Event on Feb. 11. Their hard work was recognized with 67 regional medals. 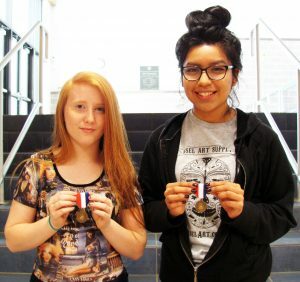 In addition, two students, junior Daira Macias Navarro, and sophomore Lacie Parries, had their artworks advanced to state. About 1600 students participated in regional VASE and only 22 qualified for state. My name is Dominick but I also go by Dom, I'm a sophomore and I joined journalism because I enjoy keeping people updated with current events and having the opportunity to voice my opinion. I like dogs.